The lowly twist drill is one of the most commonly used tools in the machinist’s arsenal. 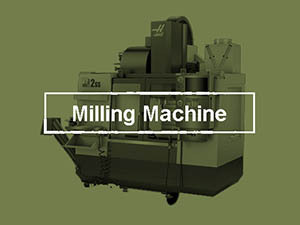 By all accounts, it also has some of the highest material removal rates of any of the tooling available. As such, it’s worth getting to know them a little better. For general information about twist drills, check out our Guide to CNC Twist Drills and Holemaking. If you want the scoop on how to maximize twist drill performance, you’re in the right place. 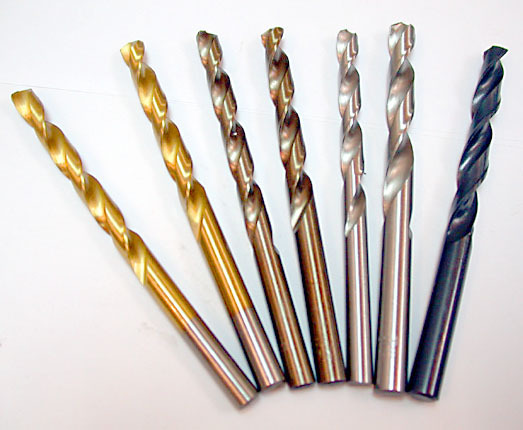 The number one factor affecting twist drill performance is chip formation and evacuation. The deeper the hole, the more likely chips can jam. The ideal chips are short curled chips because they evacuate the most easily. Listen to your twist drill for a steady sound. If the sound starts and stops, you’re getting some chip jamming. Also, take a look at whether nice curled chips are coming out or there are bent chips. The latter is an indication of jamming. 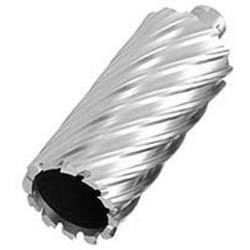 – Irregular or Rough Surface: Cut the feed back to as low as 1/4 the normal feedrate to avoid chipping the twist drill. – Convex: Convex surfaces are hard to do unless the radius of the convex surface is greater than 4 times the drill diameter and you’re entering perpendicular to the convex radius. If this is not the case, mill a flat spot for the drill to get started on before attempting to drill. – Concave: Don’t attempt a concave surface unless the radius is more than 15x the drill diameter and the drill is centered on the concavity and not the wall. You can drill the wall of a concave surface. Reduce feed to 1/3 when entering. 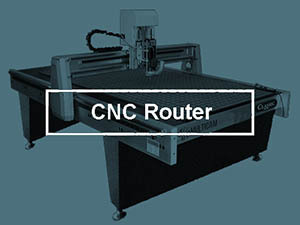 If the surface doesn’t meet these requirements, mill a flat before attempting to drill. 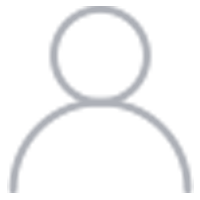 – Angled: Treat entry and exit of angled surfaces the same. 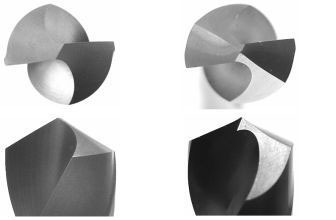 If entering or exiting an angle surface of 2 to 5 degrees angle to the tip or less, reduce feed to 1/3 of normal to accomdate this interrupted cutting condition. For surfaces angled 5 – 10 degrees, ideally use a drill whose point angle matches the angle of the surface. If the angle is more than 10 degrees, you’ll need to mill a flat before drilling. One of the easiest ways to improve twist drill performance is to make sure they stay sharp. You’ll be using the heck out of your Twist Drills and nothing is more annoying than a dull bit. There’s a lot of life left in the twist drill if you can sharpen them. Drill bit sharpeners are available at every price range or you can sharpen by hand at the grinder. I use a Drill Doctor which is cheap and cheerful, has all the right adjustments, and makes it super easy to have sharp twist drills on hand at all times. In addition to the angle, the point type is also useful in maximizing twist drill performance. The more exotic points require a little more effort, but they are an aid in self-centering the bit, they reduce cutting forces, and they break chips better. There’s a lot of controversy around this practice. Should you pre-drill a pilot hole or not? What about step drilling? The value of the pilot hole is to reduce drilling forces around the center of the hole and hopefully, to more accurately position the drill. The effectiveness of a pilot hole is dependant on the size of the pilot relative to the larger twist drill that will follow. In general, pilots are discouraged for holes smaller than 1″ (25-30mm). If you’re drilling such a smaller hole, just go for it without a pilot. That’s not to say you might not benefit from spot drilling (see below), but that’s different than a full depth pilot hole. Why discourage pilots? Because chip breaking doesn’t proceed correctly if the pilot hole is too large relative to the overall hole and because it’s faster to go without the pilot for holes smaller than 1″ or so. If you’re seeing the issue with chip breaking, you can readily understand that step drilling, where you make multiple passes in the hole with increasingly large bits is also discouraged. There is a case where a pilot hole can be helpful for all hole sizes. When you’re drilling more than 7 x Drill Diameter in depth it can be helpful to do a small pilot hole to a depth of 2 x Drill Diameter. 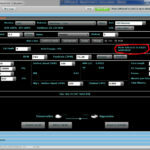 G-Wizard will automatically offer this tip when appropriate. When drilling a pilot hole, make the diameter a little larger than the web thickness of the big twist drill you’re clearing the way for. The simplest way to improve the accuracy of your drilling is to use screw machine-length twist drills instead of jobber length. The shorter bits will flex less and are therefore more accurate. The full length of a jobber-length twist drill is seldom used anyway when metalworking as the jobs gets more challenging in a hurry the deeper the hole. If you use a carbide drill or a screw machine length drill, spotting is typically not needed. As a matter of fact, most manufacturers will recommend against spot drilling a carbide drill or an insertable drill because the spot drilled hole is more susceptible to chipping the carbide. You can save a lot of time by avoiding spot drilling. If you must, use a spot drill to locate the hole. While many manual machinists use center drills for this purpose, a true spot drill with no small diameter pilot is a better bet. 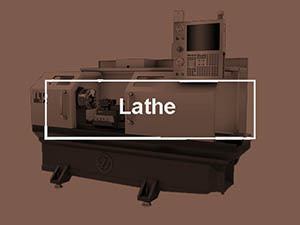 The center drill is a specialized tool for producing holes for lathe centers. It’s small diameter pilot is delicate and center drills are unnecessarily more expensive than spot drills. You want to use a spot drill whose angle is the same as or greater than the twist drill’s point angle. The reason is that you want the twist drill to make contact with the spot drill’s hole at the tip, not the edges, for best centering. You should consider avoiding a spot drill when using a solid carbide drill or when drilling materials that work harden easily. For more, we have a special Spot Drilling page too. A deep hole is any hole that is more than 5 diameters deep. The deeper the hole, the more difficult chip extracton becomes. Because of this, you should be reducing your feeds and speeds the deeper the hole gets. 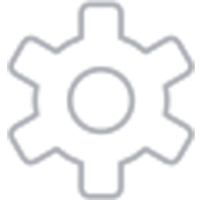 For full details, check out our Deep Hole Drilling Guide. 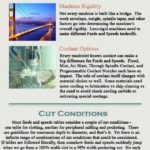 You’ve found our simple free online Drilling Speeds and Feeds Calculator that uses the classic formulas taught in shop class. 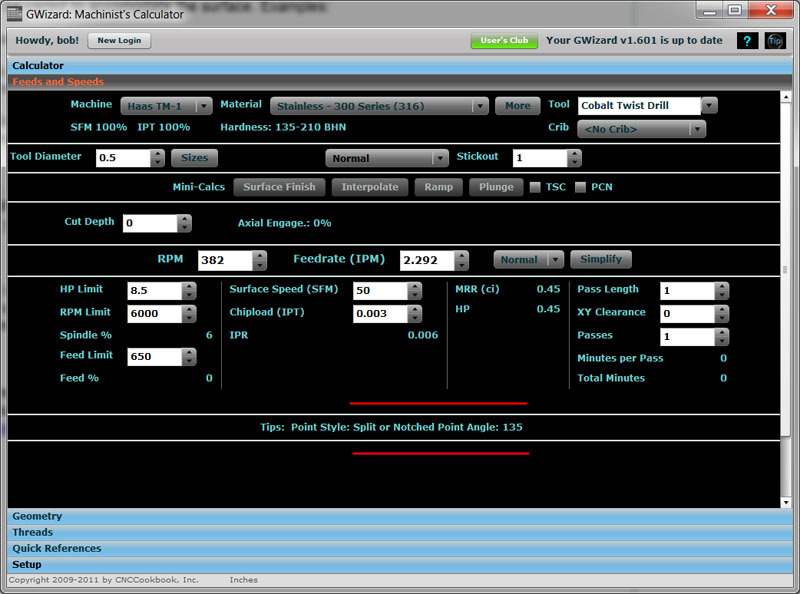 With a calculator, you don’t need to worry about how to calculate drill rpm or feed rate. 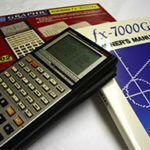 Just key in the parameters and our calculator will give you the answer. 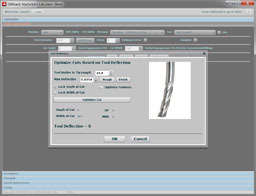 We offer both that free online drill feeds and speeds calculator using simple shop formulas, and also a free (for a limited time) full-featured calculator that is the industry leading speeds and feeds calculator. It’s used daily by thousands of the world’s best manufacturers. They know what they’re doing and wouldn’t waste time or money if the software didn’t work. 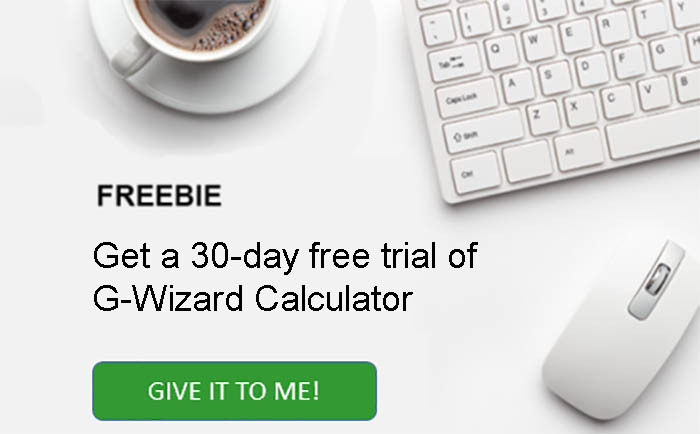 The thing is, why use that simple free calculator when you could grab our full-featured G-Wizard Feeds and Speeds Calculator completely free for 30-days? How do you lose with that deal? But you may as well drive the high performance model as long as it’s free, right? Note: Chipload should be adjusted for hole depth. Deeper holes tolerate much lower chip loads! You can look this up in the manufacturer's catalog, or we can help. Not Sure the Correct Value for Your Cutter? We Can Help! Hang on: You Deserve Better! How to Calculate Feed Rate for Drilling? Wondering how to calculate feed rate for drilling? Perhaps so you can create your own spreadsheet? The basic feed rate formulas for drilling are simple, but getting real-world feeds and speeds are quite a bit harder. 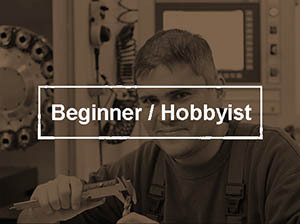 We give you all the basic formulas in our free online Feeds and Speeds Course. Want all the best tips and techniques for Twist Drills? Read our Twist Drill and Hole Making Guide here.